Hiya all! Back again with a new card to share that I put together for my next door neighbour and I was delighted to find out that it also perfectly fit in with the latest Tiddly Inks Challenge - Clean and Simple! My neighbour has some beautiful fruit trees in their backyard and they are laden with fruit and he brought over 2 huge plastic shopping bags filled with beautiful apricots. I have since made them into jam, and eaten quite a few. Nothing like fruit off the tree. 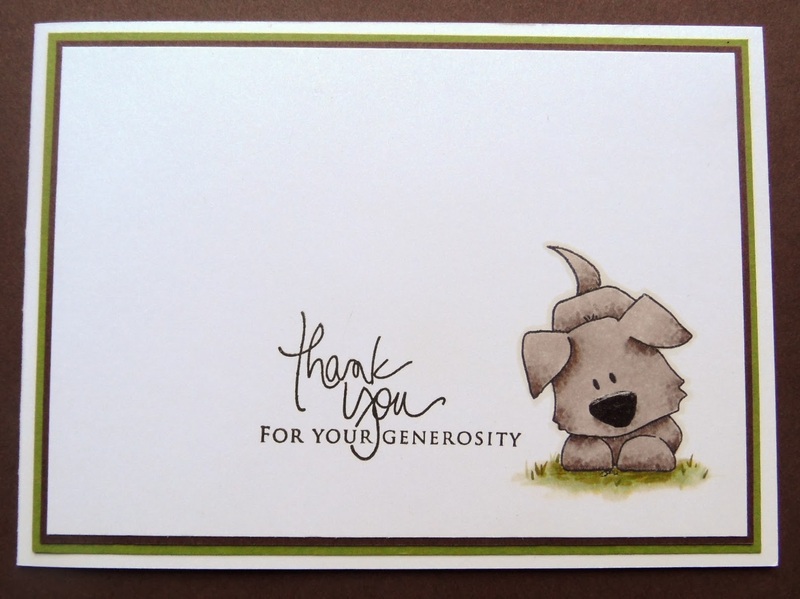 So I made this card to say thankyou. 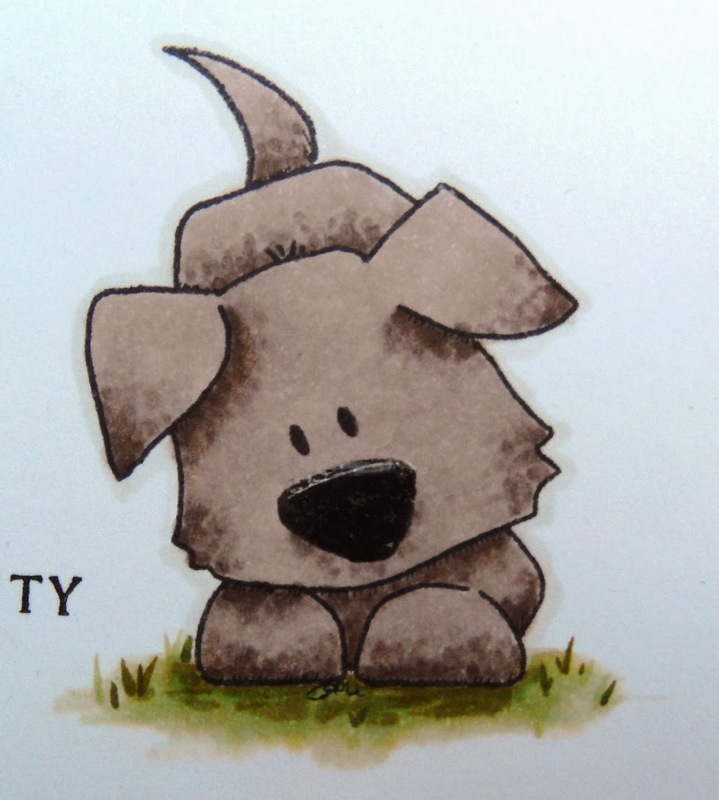 I used the gorgeous dog image from Tiddly Inks - Dog Days. He is coloured with Copic markers and the sentiment is from Papertrey Ink - Signature Greetings. Here is a close up of the image. He is sooo cute! I used glossy accents on his nose to give it some shine which is a bit hard to see in the photo. awwww this is the cutest CAS card ever! its just gorgeous! he looks so cute! This is absolutely adorable! Beautiful coloring on a perfect CAS card :). Thanks so much for playing with us at Tiddly Inks! Adorable card and image! After seeing your card I knew I had to have that cute dog image!